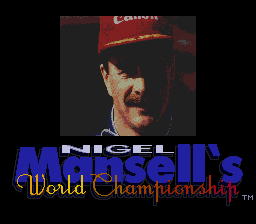 Indy car driver Nigel Mansel. smoothest-looking gameplay you'll ever see in the genre. 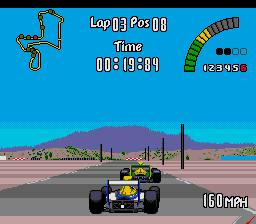 I replaced Monaco GP with this game. It is very impressive for the system 16 Megs power with very fast play. The speed is very real and you feel the power as you accelerate, so much that crashing is enevitable. 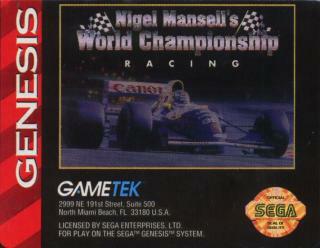 A superb game the most advanced racer game next to Virtua. Score 9/10. This Indycar game is very challenging! 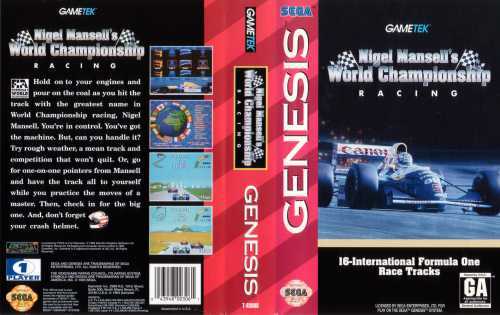 It's a surprise that they show the races that Nigel Mansell won in his first Indycar season (1993) and your teammate is surprisingly Formula 1 and Indycar legend Mario Andretti. The genesis version of this game is a bit better than the SNES version of this game.